Newly renovated and lovingly restored mid-century home, with a stylish and contemporary interior and spacious indoor and outdoor living spaces. 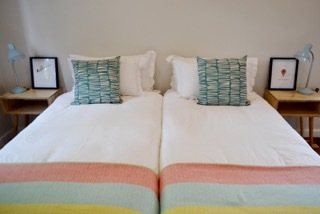 Well suited to groups or families sharing, the fully equipped house sleeps 8 guests. 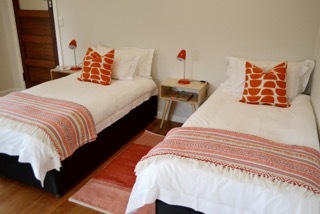 4 spacious bedrooms, each en suite and arranged to guest requirements (king or twin bed). The bedrooms are styled in modern furnishings with hospitality grade beds and quality percale linen. 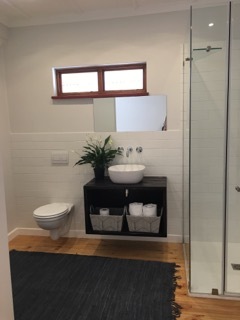 Bathrooms are modern and are fitted with showers. 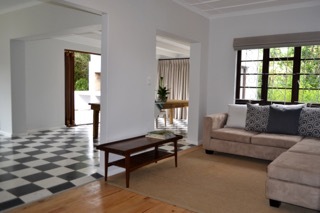 The living area is light and airy, perfect for relaxing and great views towards the Outeniqua Mountain range. The kitchen and dining area form the heart of the home. 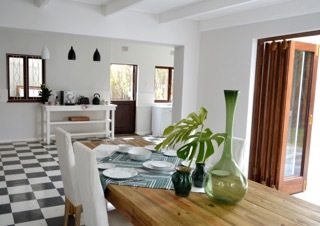 Equipped with all you’ll need for self catering, the large kitchen is open plan to the dining area, where there is a 12-seater dining table. 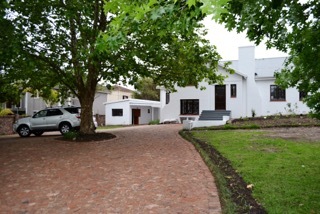 The dining room opens onto the outdoor entertainment and braai area. 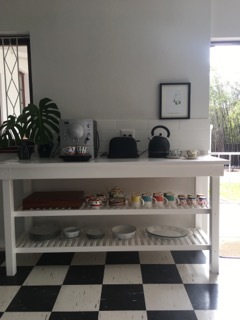 The house also includes a separate laundry room should you need it. Leading off from the dining rooms via folding/stack doors is the outdoor entertainment area, with built in braai and outdoor seating. Perfect for those balmy summer evenings, the views over the garden and surrounding Outeniqua Mountains are lovely. The garden is large and well established and is fully fenced. to a reputable security company.